To celebrate the 40th anniversary of Fernhurst Books’ founding in 1979 they will be launching a record six new books on at the 2019 RYA Dinghy Show. Following the reincarnation of Fernhurst Books in 2013, the iconic Sail to Win series was re-launched at the 2015 Dinghy Show for the new generation of racing sailors, with the very same Sail to Win philosophy that has been guiding racers for over 30 years. At the 2019 RYA Dinghy Show the series increases to eight titles with the launch of three new books. 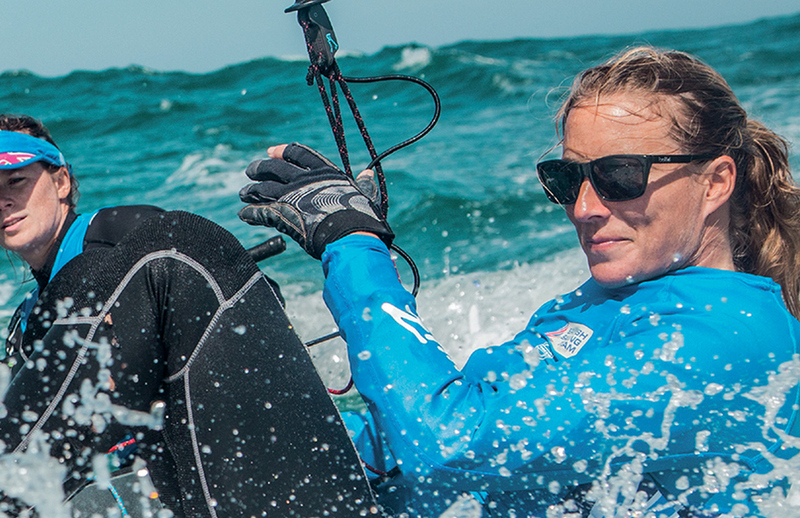 In 2016 Saskia Clark became Britain’s most successful dinghy crew when she became the first to win an Olympic gold medal for 44 years. Now she has put all she learnt in the 12 years she spent dedicated to this cause in her new book, Crewing to Win. Jon Emmett, a gold medal winning coach and multiple world champion, publishes two books in the series to add to his successful Coach Yourself to Win. Training to Win and Tactics Made Simple are the culmination of Jon’s years of coaching and competing internationally, covering training exercises suitable for solo boats, groups of boats and those with a coach, and improving tactics around the race course. Saskia and Jon will be on the Fernhurst Books stand (H10) at 12 noon on Saturday 2 March to launch these books and sign copies.